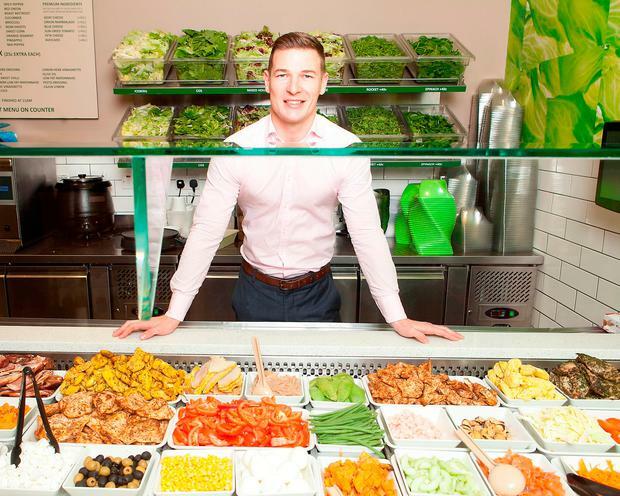 Healthy fast-food chain Freshly Chopped has struck a €2.5m deal to supply packaged salad leaves to the country's leading supermarkets. The company will sell a range of four different bags exclusively in Dunnes Stores this month before entering other retailers in the new year. It is expected that around a million salad bags will be sold within the first year. It represents a significant development in the company's strategy, which has up until now predominantly focused on opening stores. Supermarkets will stock two mixed-leaf bags, including a mix of kale and spinach and another made up of rocket, baby red leaf, and mizuna. The other two will come complete with ingredients and salad dressing. Co-founder and chief executive Brian Lee said the move to supermarkets was the "next step" in bringing healthy eating to as many people as possible. "Working with our development team, we know that the range that we are launching will make the perfect salad base for DIY salads on the go or to help you eat healthier at work," he said. Chopped now has 54 stores, with Lee expecting it to rise to 59 by the end of the year. The company is also looking at opening locations in the UK and Cyprus. When asked about the company's future, Lee said that "everything was on the table". He also stated that he was open to the "right strategic partner" investing in the business.